What Is the Mavis Wanczyk Lottery Scam? Were you wondering about the latest lottery scams? We’re glad that you’ve asked! In recent times, scammers are becoming more creative than ever. Their new endeavors are probably prompted by the fact that the number of people falling for traditional lotto scams goes down all the time (thank God for that!). So, now that Powerball and EuroMillions scams are no longer doing the trick, fraudsters have to think of something else. Boy, have they accomplished the task! Instead of impersonating official lotteries, they have started impersonating lottery winners. The Mavis Wanczyk lottery scam is just one recent example. What the Heck Is the Mavis Wanczyk Lottery Scam? 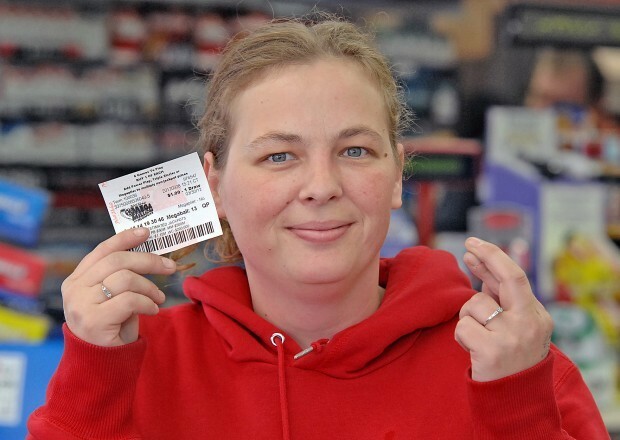 Immediately after Mavis Wanczyk won a massive Powerball jackpot, dozens of Mavises appeared on social media. Mavis Wanczyk became the holder of the biggest jackpot to be won by a single person – the staggering 758 million dollars. Immediately after the announcement was made, the whole world learned about the lucky lady from Western Massachusetts. She became so famous for the win that the local police had to establish a patrol in front of her home. 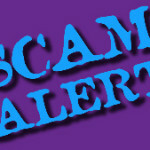 Today, the police is warning people about a Mavis Wanczyk lottery scam. Wait, we take that back! There have actually been several Mavis Wanczyk lottery scams out there. The most prominent one is people impersonating Mavis on social media. Via these fake profiles, they’re offering innocent victims a chance to get a share of the massive jackpot. In order to claim the prize, however, the victims have to share personal information with the scammers or they’re being asked to make a processing fee payment. Thus, if you’re ever being contacted by a Mavis Wanczyk on Facebook and you’re being offered a lot of money, you should know that this is a scam. The right way to respond is to contact the Facebook admin team and request the deactivation of the fake account. The example above is just one type of Mavis Wanczyk lottery scam. Unfortunately, unscrupulous individuals have come up with other ways to either get money or personal data out of their victims. Not only are they active via social media, scammers have also taken it to email sending for the purpose making a profit off the backs of their innocent victims. An email is being sent on behalf of “Mavis” to random recipients. According to the email, Mavis Wanczyk is feeling so generous that she’s sending donations out to random recipients. Unfortunately, these are phishing emails aimed at getting personal information from individuals that get them. It’s very important to refrain from responding to such emails or clicking links presented within them, police officers warn. Another, even nastier email scam, claims that Mavis is starting a donation program on behalf of her late husband. To participate in the program, email recipients supposedly enter a raffle for the drawing of 4.2 million euro. The currency makes it obvious this email scam is circulating in Europe. The original message itself is in German. To participate in the raffle, email recipients are prompted to respond and send back their full name, email address, phone number and information about their occupation (we wonder how this could be relevant!). The Mavis Wanczyk lottery scam isn’t the first one to rely on the fame that jackpot winners acquire after their identity is revealed. In the spring of 2017, other similar scam began circulating. That time, the fraudsters used the names of lottery winners Richard and Angela Maxwell. In April 2015, Richard and Angela became famous after scooping a 53-million-pound EuroMillions jackpot. Richard and Angela, both aged 67, couldn’t believe their luck, but they quickly came up with an action plan. Apart from spending some of their money on their dreams and on helping their two daughters, the couple also planned to give back to the local community. 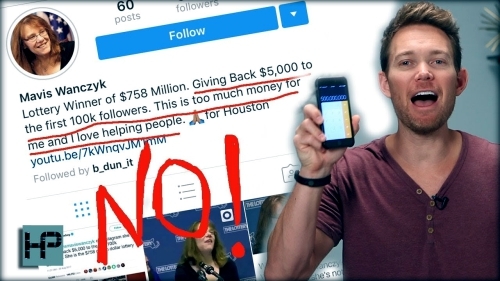 This charitable intention is the one that scammers have gotten to exploit. In 2017, a Richard and Angela Maxwell lottery donation scam started circulating. The email message says that Richard and Angela have started a charitable project, intending to donate millions of dollars to people across the globe. Does that sound familiar? The scam follows a well-known scenario. Recipients are asked to reply to the email with personal information. Once they do, they will be asked to pay certain fees for the donation payments to be processed and sent over. Needless to say, that’s the end of it. 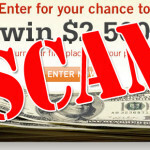 The “lucky” winner will never see a cent from the scammers. The Kelsey Zachow lottery scam is exactly the same. Kelsey Zachow is a young lady who became famous after winning 66 million dollars from the lottery. While this happened back in 2014, you can find over five Kelsey Zachow profiles on Facebook today. Scammers use these Facebook profiles, as well as Instagram and Twitter to propagate the fraud. Under her name, these fraudsters offered 1,000 dollars to the first 75,000 people to follow Kelsey on Instagram. As the following expanded, the fraudsters started asking fans for their bank accounts and other financial information. Obviously, nobody received 1,000 dollars in return. While this approach is more creative than impersonating official lottery authorities, the Mavis Wanczyk lottery scam and other fraud attempts using the names of jackpot winners follow the same tired principle. Please remember that unsolicited contact from somebody offering you money will never end well. You should either ignore such attempts or you should report to the respective authorities in your country.